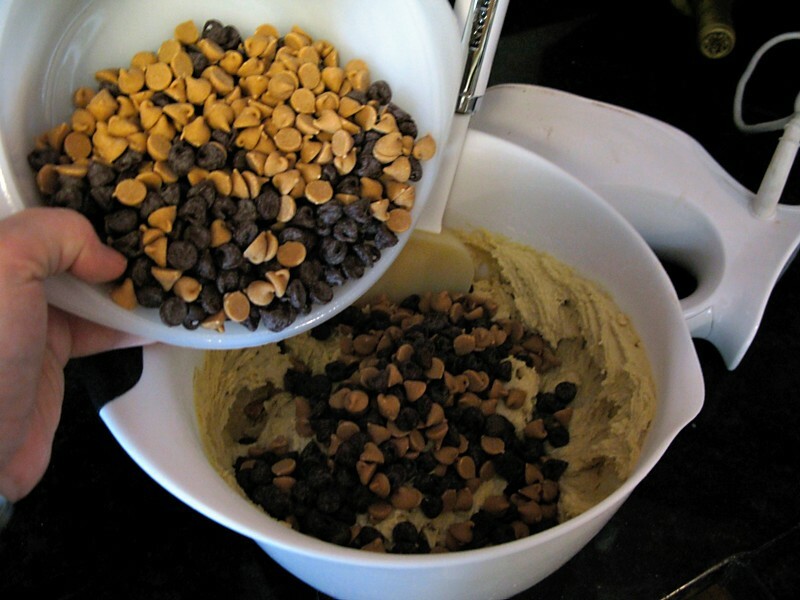 I absolutely love chocolate chip cookies, but peanut butter chips are just as wonderful…so I decided to combine the two in order to make one heck of a delicious cookie. The combination was very, very successful. My parents were visiting when I made these cookies, and I had to move the bowl. My dad kept coming by, trying to swipe some of the chips. 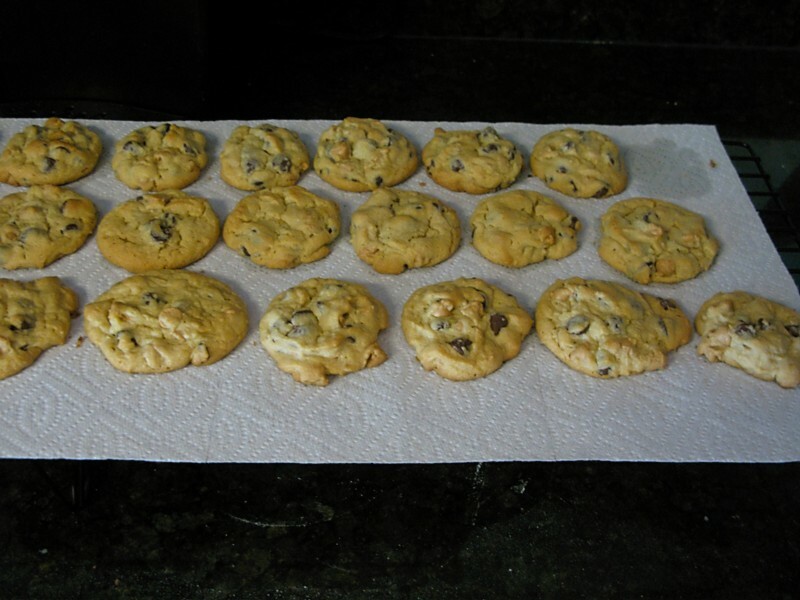 I used an entire bag of semi-sweet chocolate chips and one bag of peanut butter chips. 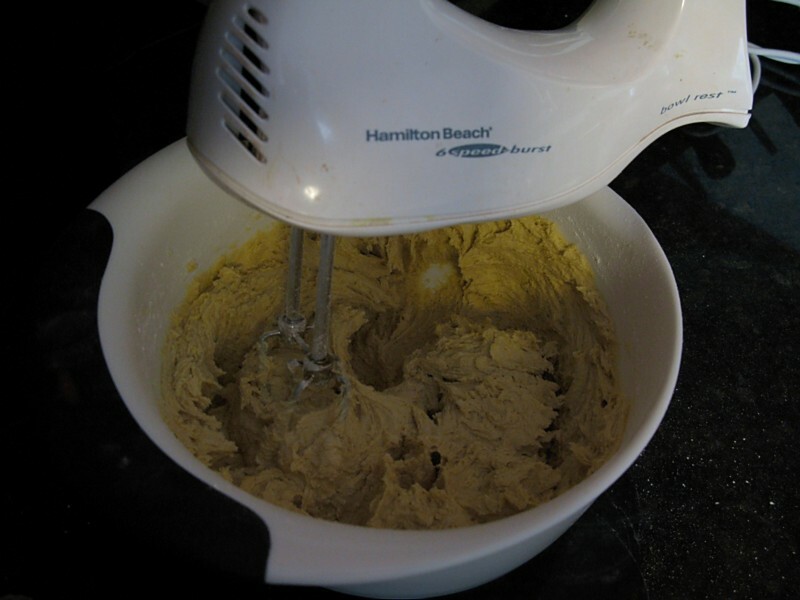 Next, I mixed up the batter with my electric hand mixer. Surprisingly, the motor on this thing hasn’t decided to quit on me. I added in all of the chips and mixed well, preparing for them to be baked to perfection. 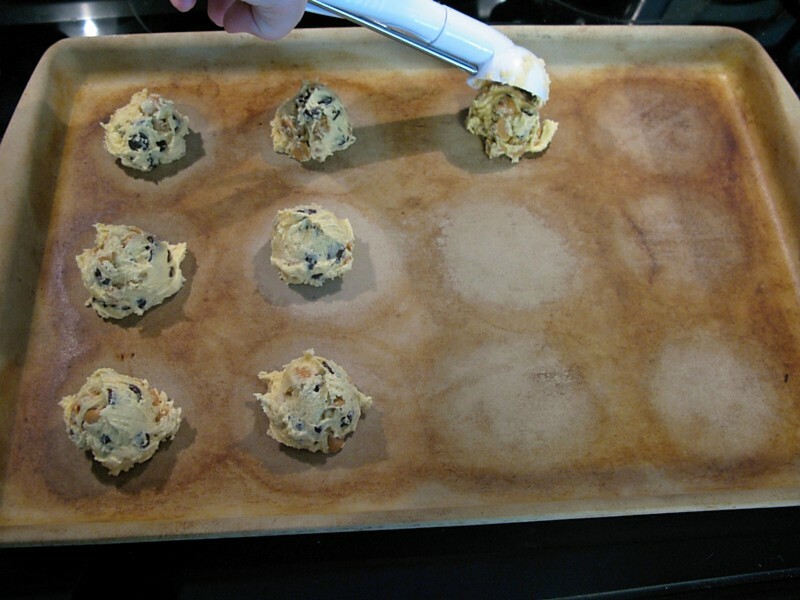 Drop the cookie dough by scoops onto your cookie sheet. I bought the cookie scoop, and it is wonderful! I normally use a tablespoon measure, but the cookie scoop works extremely well. Baked to perfection! I use the baking stone that I got from Pampered Chef. This is GREAT for baking anything, especially cookies. 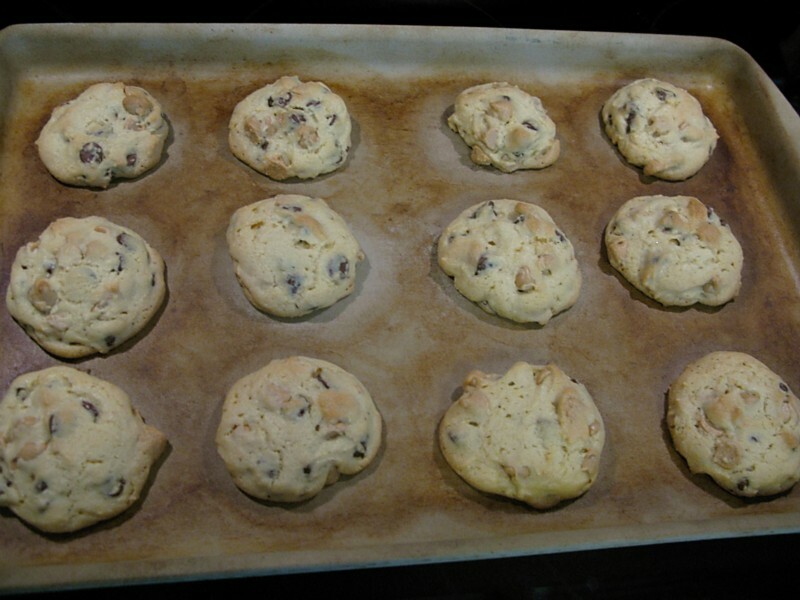 This avoids the bottom getting burned or cooked more than the tops of the cookies…they’re cooked evenly all the way through. All done! 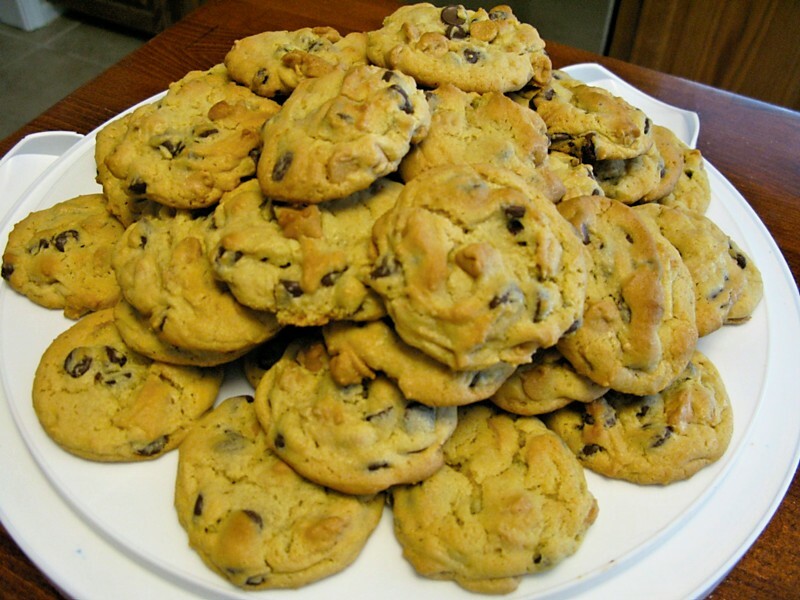 These cookies were absolutely delicious, and they were a big hit. 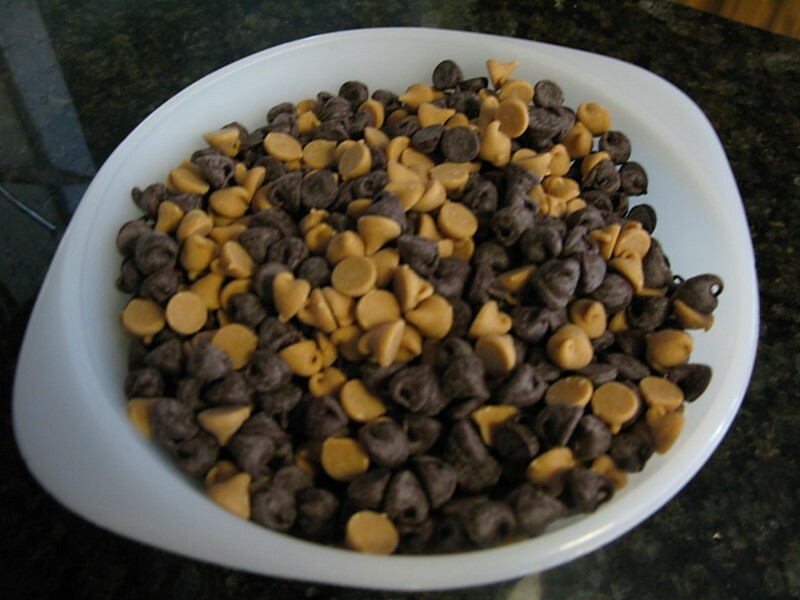 A combination of chocolate and peanut butter? Such a perfect couple! They didn’t last long, and I actually had to hide them from my dad so he wouldn’t eat too many.